Top of the line restored axe! 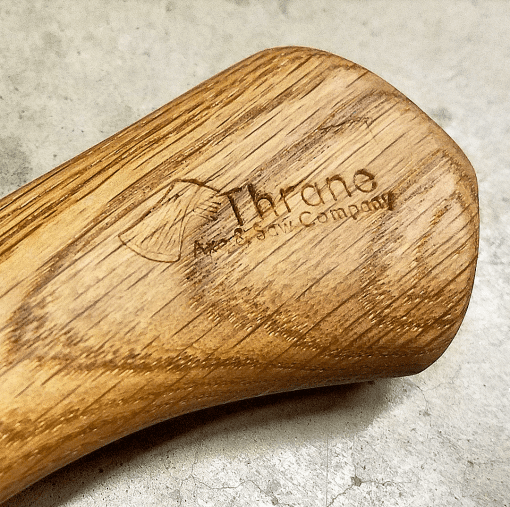 Here is your chance to own a one of a kind Plumb Rockaway with a white oak handmade curved handle by craftsman Nick Thrane! Usually Nick Thrane is busy fulfilling custom orders, logging, sawmilling lumber, etc. 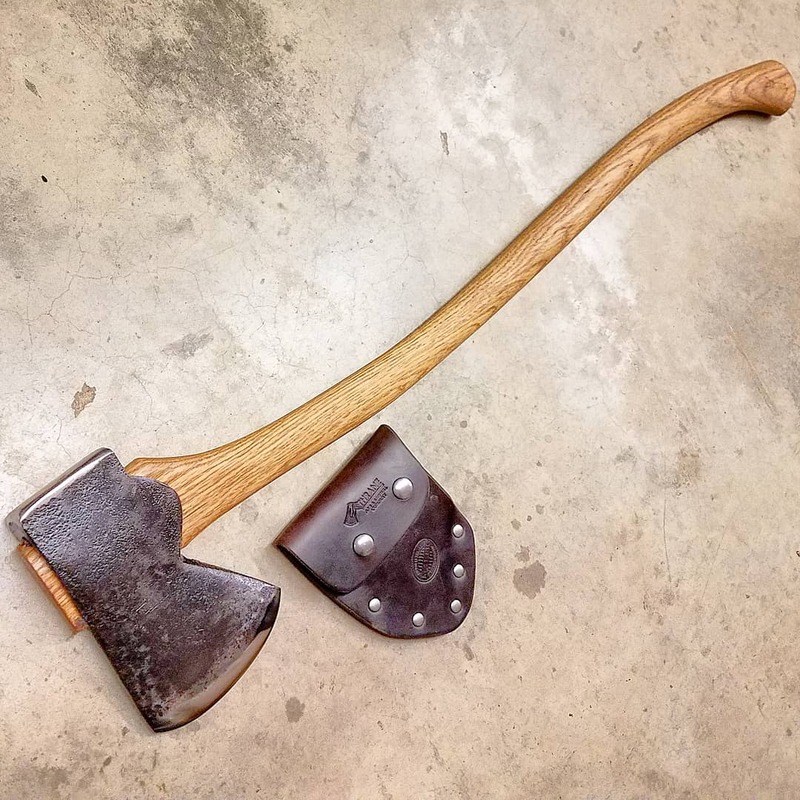 So finding time to add a finished restored axe for sale doesn’t come up very often. Best of all there is no wait time since this axe is already finished! So as soon as payment is received it will be on its way to you in the mail asap! 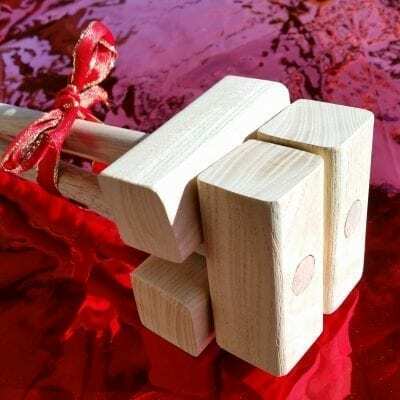 Don’t forget you get free shipping anywhere in the USA with this axe so be sure to choose the free shipping tab below the 9 dollar flat rate tab. 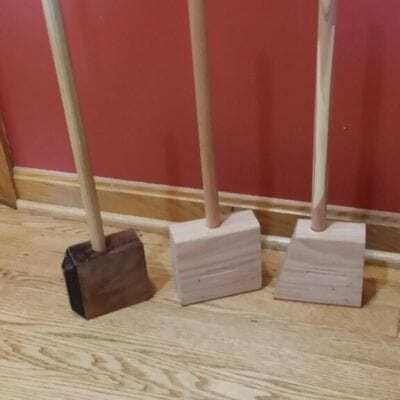 32″ white oak handle hung with two red oak wedges. The handle and wedges have had several coats of boiled linseed oil to ensure the fit stays true long term, aesthetically and of course to protect the wood! 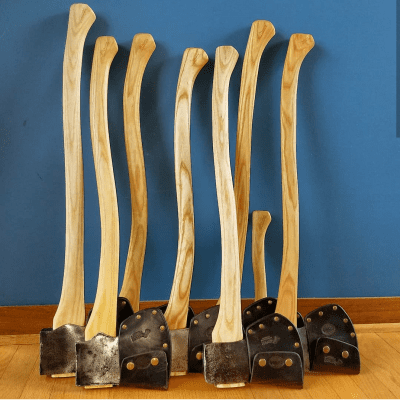 The major benefit of using white oak instead of Hickory or Ash for an axe handle is rot resistance. White Oak is much more rot resistant! 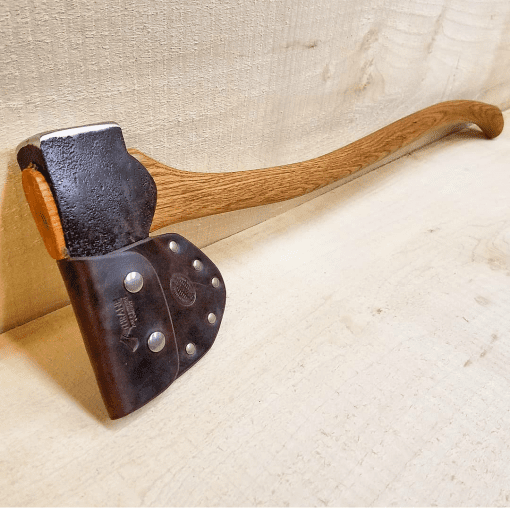 This handle is fairly slim and well balanced to suit the professional, who demands a high quality axe! The edge has been reground and polished, since the previous one was rather dull and uneven. Now it is plenty sharp for chopping trees, limbing and splitting firewood but better suited as a felling axe! It comes with a custom handmade dark brown sheath to protect the axe head, the edge and for safety of course! These sheaths are very well made to last a long time compared to mass produced sheaths that usually come with axes. The axe head itself is a Plumb Rockaway pattern because of the blade shape, angles of the axe shape and round lugs. 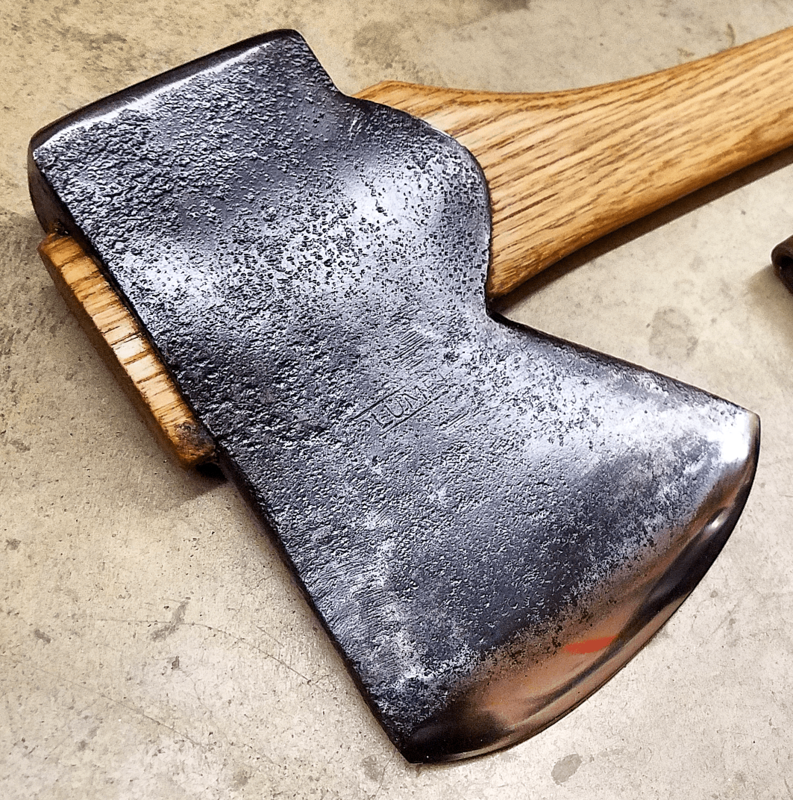 The round lugs give the axe a handsome look! Not to mention the dark patina of the steel contrasting with the shiny edge! There was some mushrooming on the poll from being used as a hammer that has been lightly cleaned up without going overboard! That way the user knows the history of the tool as well as adds to its character! The rectangular square around the Plumb signifies it is an older one likely from the 1940s. The famous Plumb Victory axes that were advertised commemorating the United States victory in World War II had a similar Plumb logo. So roughly the axe is 70-75 years old! 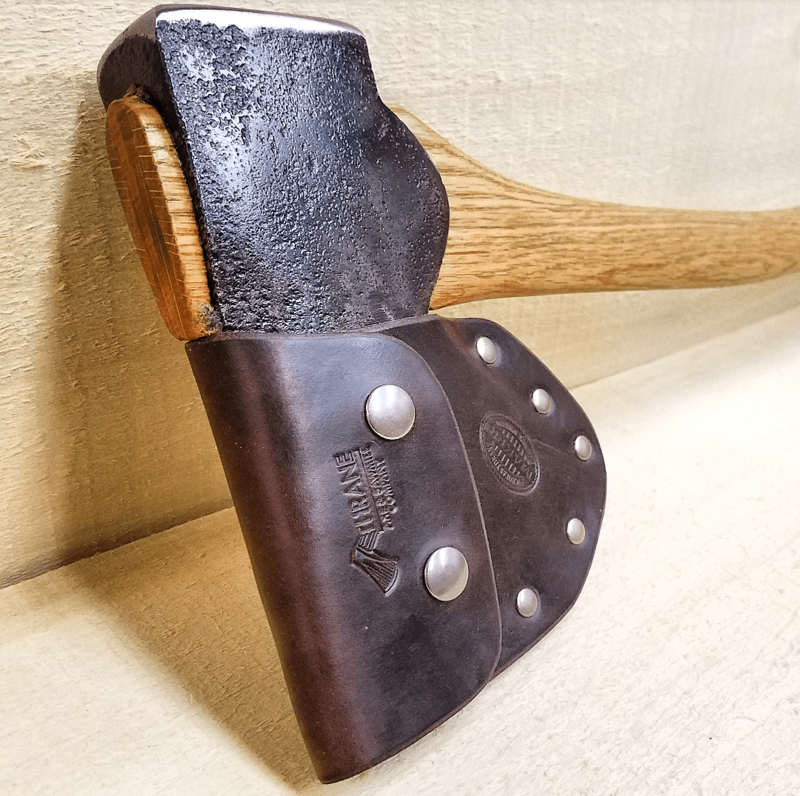 The fit, finish, history, and collectible aspects make this axe a great wall hanger or special gift for someone as you may never find another one just like it!